A riveting inquiry into the historical Jesus by the team responsible for the award-winning Origin of Christianity. 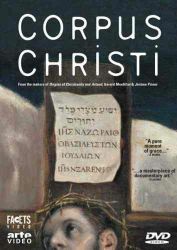 This sprawling collection delves into the latest archaeological research about the historical Jesus and what separates him from the Jesus evolved by Christianity. It also offers a minute examination of the historical evidence of the Crucifixion. 27 of the world's experts participate. In French with English subtitles. © Copyright 2015 Facets, Inc.. All Rights Reserved.